I have been told my entire life, every woman should own a little black dress (an LBD ala Audrey Hepburn). I have listened and own many (as demonstrated in my 2014 Dressember Campaign). 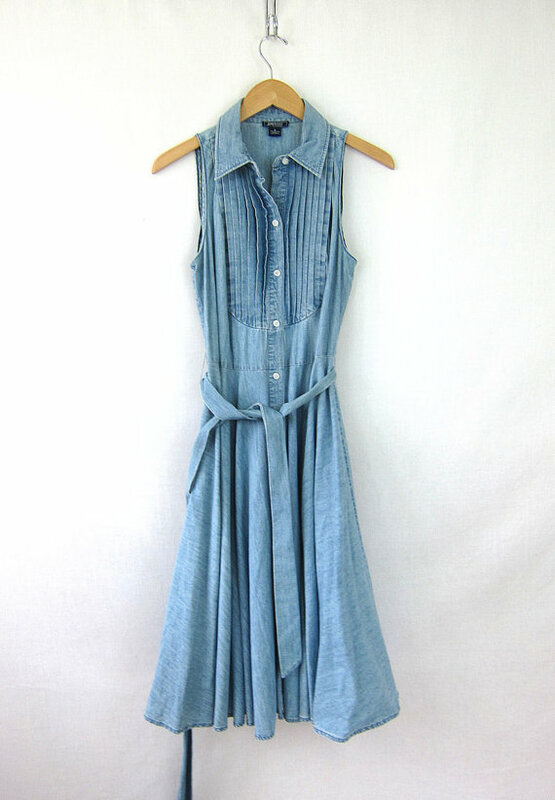 Unfortunately somewhere along the way someone forgot to tell me one should also own a denim dress. Now, some people may be raising an eyebrow right about now, but let me explain. 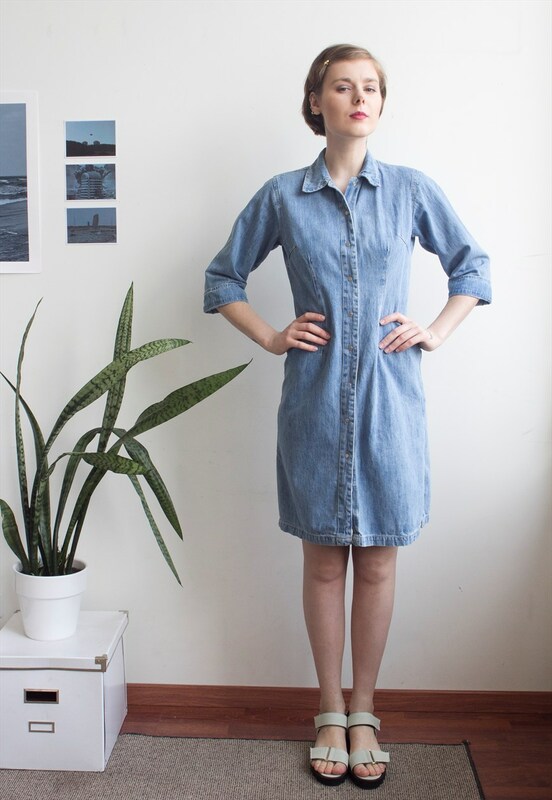 I am not referring to the jumper style of denim dress, but instead a well made, fitted, timeless denim dress regardless if it was made in the 70s, 80s, or 90s. A few weeks ago, I stumbled across a dress at St. Vincent de Paul store in Madison for around $10. 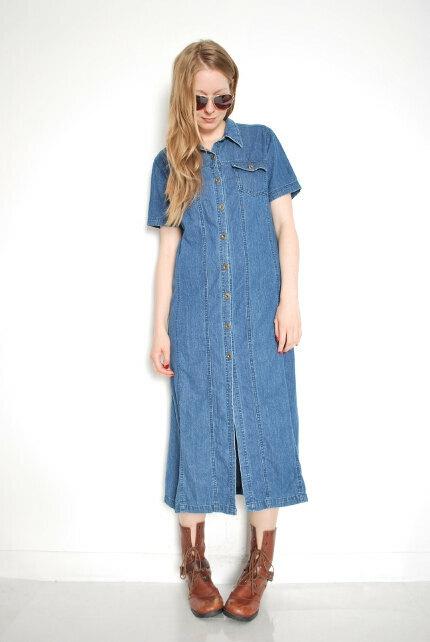 I was not looking for a denim dress, I was merely browsing in an attempt to live more closet conscious. Squished in a rack of tons of dresses, there it was--the perfect denim dress. It fit perfectly and I instantly knew this was a dress that I could wear in all seasons and I could accessorize in a variety of ways. For winter, I already imagined layering with my stable thumb-hole shirts, cardigans, leggings and paired with boots and hats. Exploring Midwest nature with my ham of a dog, Buster. 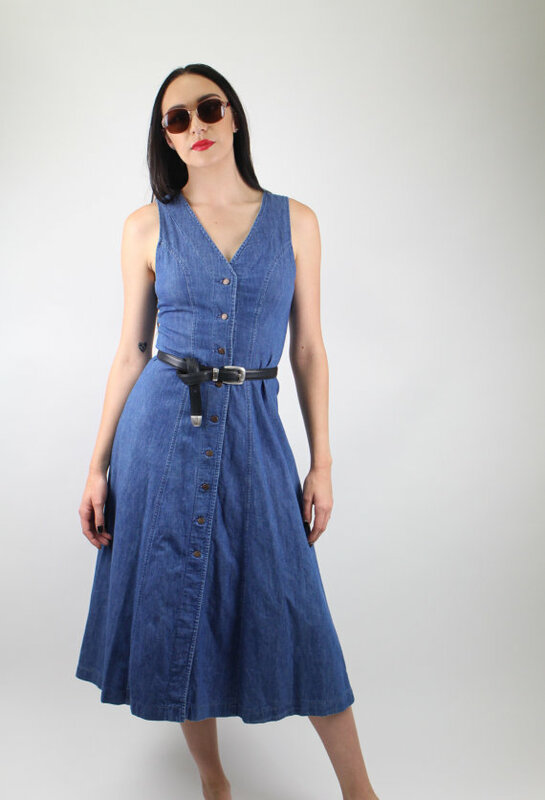 Paired thrifted denim dress with a vintage belt my mother gave me years ago. This dress has already proven it is as indispensable as a little black dress. 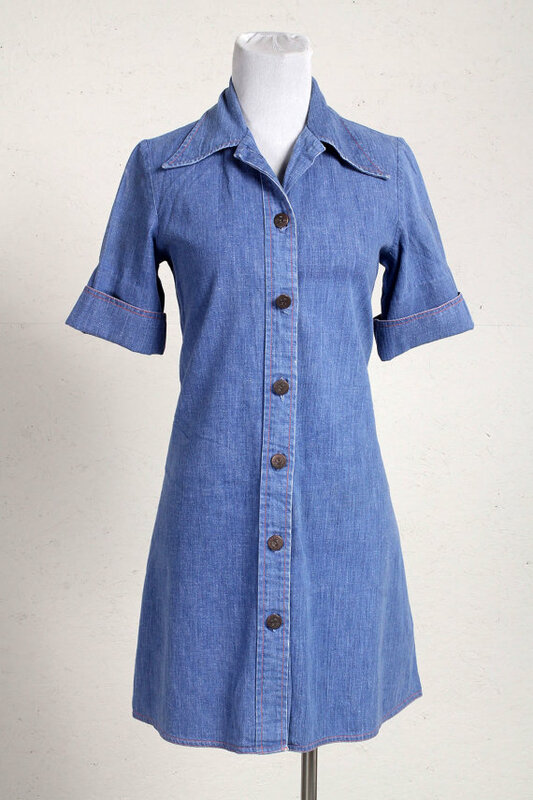 This led me to exploring what other options exist out there in the realm of vintage denim dresses. Though their prices online are a little more than the shy of $10 I spent on my current favorite, many are reasonably priced. I scoured through countless listings online to compile a curated collection of some of my favorite pieces, some that I think you will appreciate as well. I went with vintage pieces, because in my life I am currently trying to acquire pieces that are eco-friendly and ethical (as noted previously in Blue Platypus) and thrifting is the easy (and, of course wallet-friendly way). 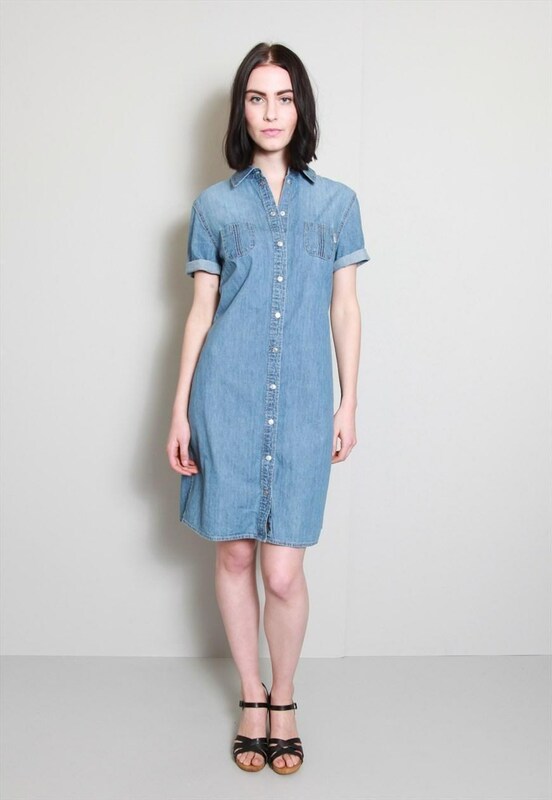 Regardless of your style there is a dress (or two or three) out there in denim for you (even for those that despise dresses and prefer jeans, I say give one a try. It is denim after all). It is a dress to wear by itself or to accessorize. The most important aspect for anyone is this: wear what brings you joy. My dress does just that, which is why my geekery over it pays forward through this post. I hope you will enjoy the selection below and remember this is just a peek into what is available out there.